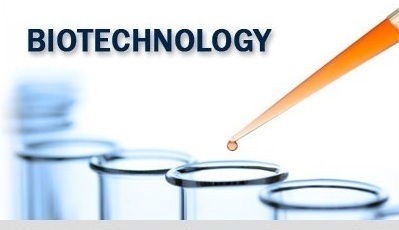 Unlike other fields of Science, Biotechnology includes several areas of study under its domain, which require an effective understanding and integration. This field of study of Biological Sciences require a good comprehension of several interdisciplinary topics in Biology – Biochemistry, Human anatomy, Genetics and many more. Being a highly specialized and relatively new field of study, Biotechnology assignments and home work can be a point of concern for some students. However, as daunting as Biotechnology assignments can be, they are very interesting if the underlying concepts are clearly understood. It must be pointed out that Biotechnology is relatively an upcoming field. It is thus very dynamic. The topics being included under its roof keeps changing with every new thing that becomes known. It is very important to keep oneself up to date. Reading different literature pertaining to this field would help you appreciate the subject and thus turn the home work or assignments into a fun activity. Don’t be constrained by the recommended reading resources that maybe suggested by the school. Explore further and go beyond the realm of academic curriculum. Engaging in informative discussions in the class and after would help you to understand various topics very easily. This activity can provide a solution to the questions in the assignment conceptually and then all that is left is the task of writing it down. In this field, Science assignments can be related to concepts which are highly specialized and dwell deep into the subject. A strong hold over various concepts of Biochemistry and its implications in cell biology can be an added advantage. Some topics like Cell Biology, Endocrine system, Metabolism, Nucleotides, Physiology must be clearly understood. Lack of a good grasp of these topics can cause never ending problems. Apart from that, smallest of details related to DNA and RNA is necessary to excel at Biotechnology assignments. If there are any laboratory or hands-on sessions which aim at providing a practical insights of how the domain of Biotechnology works, one must surely attend it. These may be useful for any Science Projects that you may face as a part of home work. Having a practical insight about the Biotechnology’s practical applications, especially in the field of Enzyme and molecular biology would help to visualize the concepts while applying in the solution of questions in the assignment. This will also cut down the amount of memorizing which is inherently related with the subject. In this subject memorizing certain things is indispensable. However, some concepts can be reproduced without memorization if they are visualized conceptually. 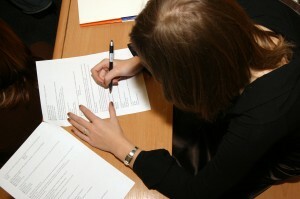 There might be some times when assignment solution can be a tedious task due to lack of understanding of some concepts. You must not refrain from having a discussion about it with teachers or peer. Some concepts in Biotechnology are always based on one key principle. If it is understood, entire concepts becomes lucidly clear. You could turn to some online expert help. They are group of people who offer assignment help depending on the topic. One of the most important realizations required for excelling at Biotechnology assignments is that one must know the things which have to be memorized and the ones which have to be conceptually understood. Knowing this can make learning Biotechnology a fun task.